Idyllic, picture postcard Lake Como draws an A-List crowd. Having grown up here, designer Maurizio Pellizzoni shares his insider’s guide to the hidden gems of Lake Como. The undertone of Lake Como is subtle opulence, timeless in style where an A List set has retreated for decades. There are places beyond its glamorous surface of rolling hills and crystal clear waters to discover – filled with unexpected hidden gems. For international luxury interior designer, Maurizio Pellizzoni, the breathtaking views and picturesque villages were his playground growing up. Lake Como is still a place he refers to as home and often retreats back to the stunning destination for holidays. He shares his top personal picks with Bon Vivant. 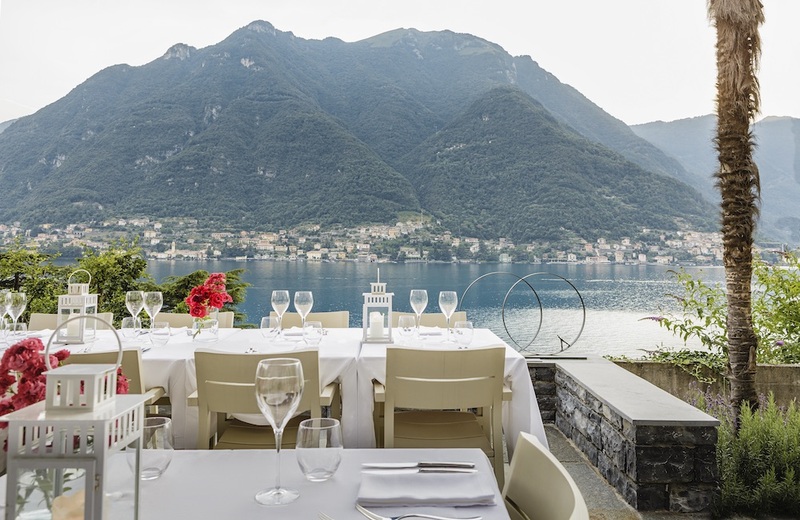 Delight in the culinary experiences at Villa Lario, whether it’s dinner on their pontoon, grappa tasting on the classic Tulio Abbate speedboat or breakfast overlooking the lake on the Belvedere Lounge terrace. Feast on modern, homemade Italian cuisine with fresh ingredients picked from the onsite kitchen garden. Modern fine dining at Materia features dishes created from herbs and vegetables sourced from their own greenhouse such as fermented strawberries and rose geranium. The young small team of four present creative and fragrant cuisine for their menus: think marinated Trout, fermented kiwifruit and cold apple broth or “Fassone” beef tartare, celery, black garlic and pickles. Riva Café is the place I return to with my family when I visit Italy. It evokes many memories, I often used to go here with friends for a decent pizza – and still do! Lake Como does not do hustle and bustle. Whilst bars are plentiful, there’s a cosmopolitan atmosphere that oozes throughout and a timeless elegance combines for the perfect setting. Do as the locals do and start with an aperitivo. 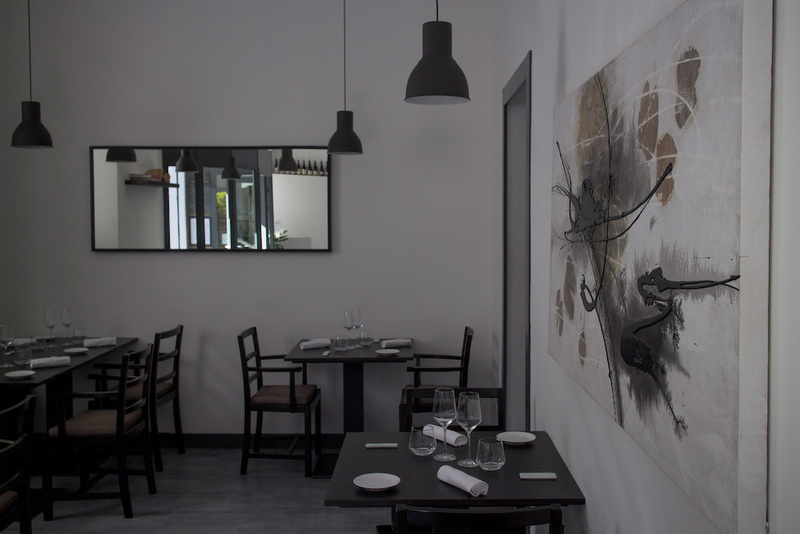 Pane e Tulipani bistro is a local secret hidden on a quiet street of Como City to start or end a summer’s evening in style. Sip on negronis at Harry’s Bar, perfectly set to bask in the sunshine and take in the views – it’s one of George and Amal Clooney’s hotspots. Caffe Monti Como is a historic café facing the lake, which overlooks the heart of the city, Piazza Cavour. It’s one of my favourite places to sit and enjoy an early morning espresso and people watch. 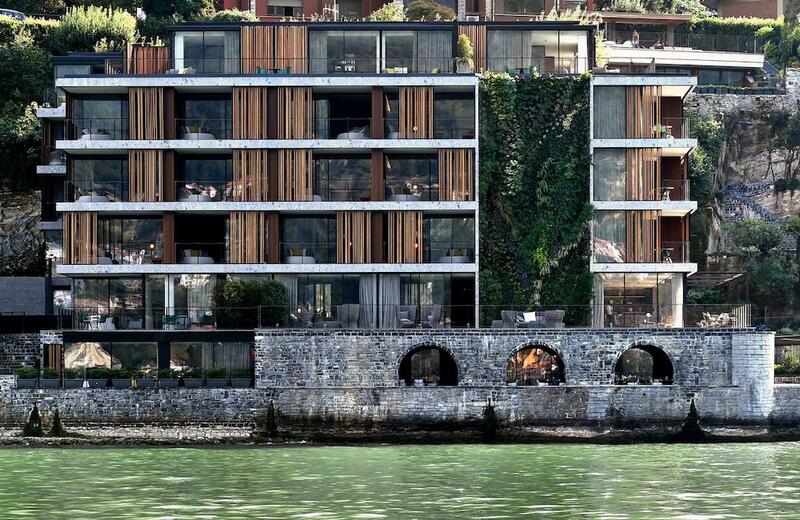 Il Sereno is the first contemporary luxury hotel on Lake Como. 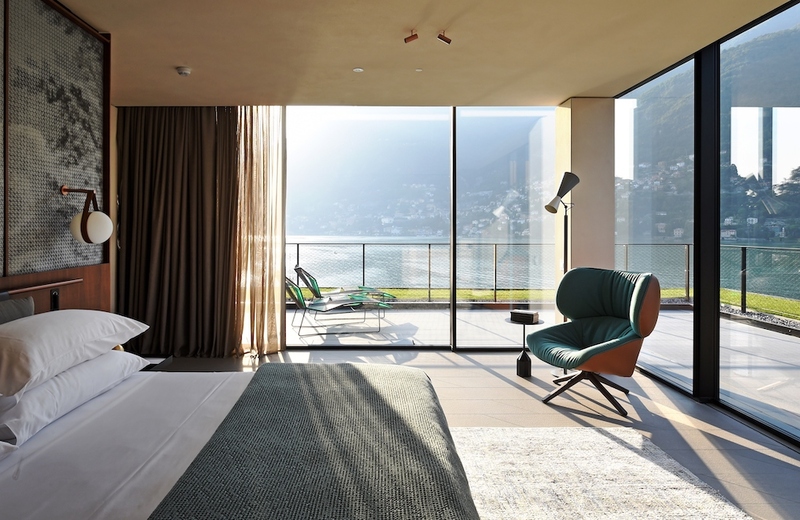 Designed by famed Milan-based architect and designer Patricia Urquiola, the hotel is stretched across the sunny eastern side and features 30 oversized suites, all with their own furnished terraces and lake views. 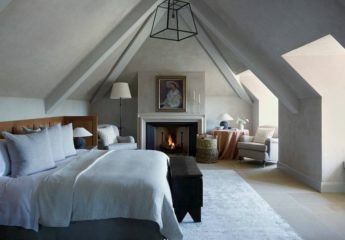 Urquiola and her team envisioned every facet of the hotel from the architecture to the interior design, which includes designing custom furniture, rugs, wall coverings, lamps, bathtubs and bathroom fixtures. 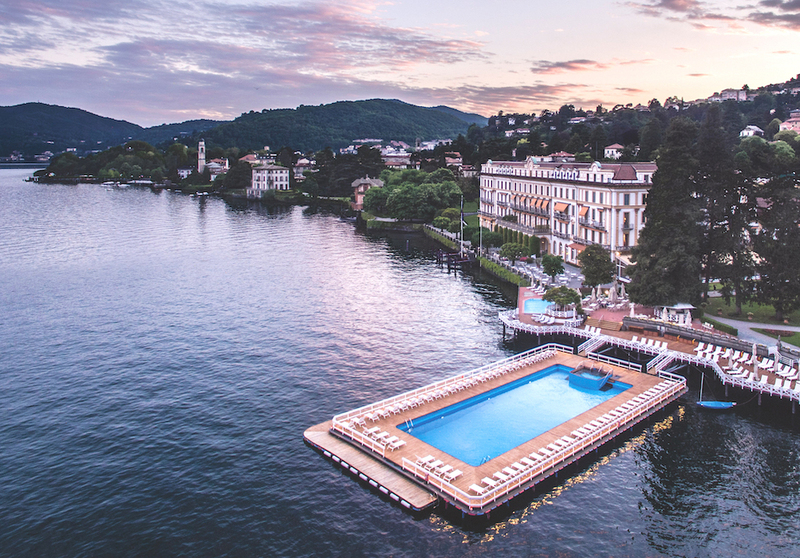 Focal points of the hotel include a dramatic 60 foot infinity pool allows guests to literally float above Lake Como and a stunning staircase of walnut and bronze that effortlessly floats from the restaurant to lobby. 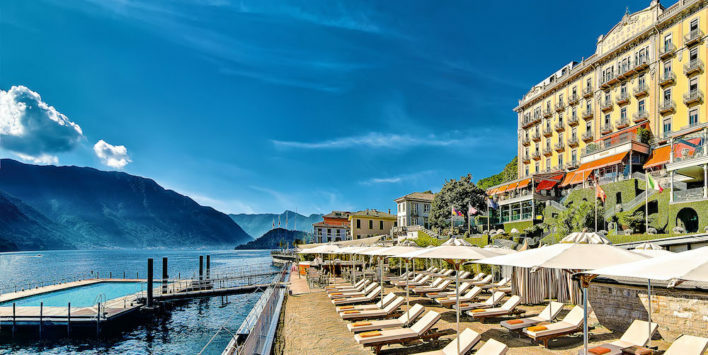 On of the oldest hotels in Lake Como, the enchanting Grand Hotel Tremezzo was once an 18th century residence of the Dukes of Serbelloni, the villa is now managed by the Grand Hotel Tremezzo, continuing the Italian tradition of refined hospitality. Taking luxe to a new level, hire the private rooftop villa exclusively with six finely decorated suites and a historic garden-park with a pool and a picture perfect panoramic view of the lake. Set in a romantic residential area, the charming Hilton Lake Como is one of the latest openings on the lake. 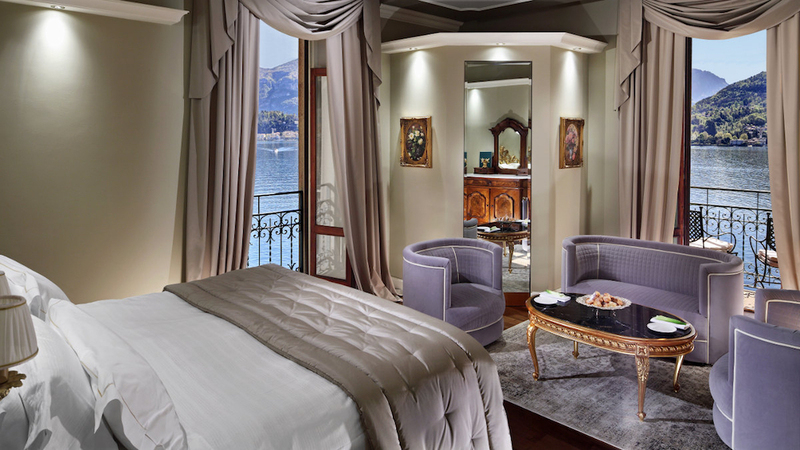 It’s also the largest in Lake Como with 170 rooms and 21 suites, three of which have lake view private terraces. It’s a ten minute walk from the city centre. 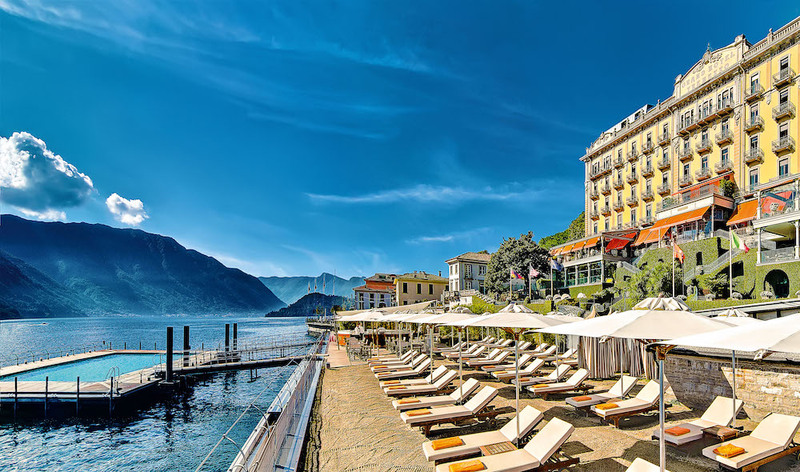 Gracing the heart of the city with the hotel’s signature style, soak in the views in the rooftop infinity pool or whet your appetite with inspired cuisines from the Southern Swiss, North Italian and Valtellina regions surrounding the lake. 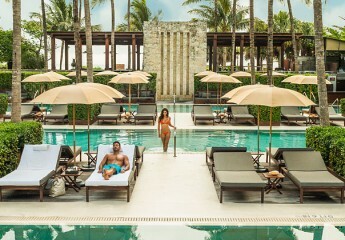 Look out for the arrival of the new Mandarin Oriental, which opens in mid April. Perfect for a day trip is to take the Funiculare from Como Lungolago to Brunate. You can spend the day hiking through the old village and pay a visit to the Volta Lighthouse. It has a stunning panoramic view of the lake and Como City to the Duomo of Milan and the Alps – from Mont Blanc to the mountains of Bellagio from above. La Polenteria is just a few minutes away form the Volta Lighthouse – the perfect place to sample the local food that’s full of flavour and local traditions. I have taken this trip many times with friends and family, it’s probably the best way to enjoy the nature and good food in Lake Como. The town of Como is home to some of the most renowned buildings from the 1930’s. 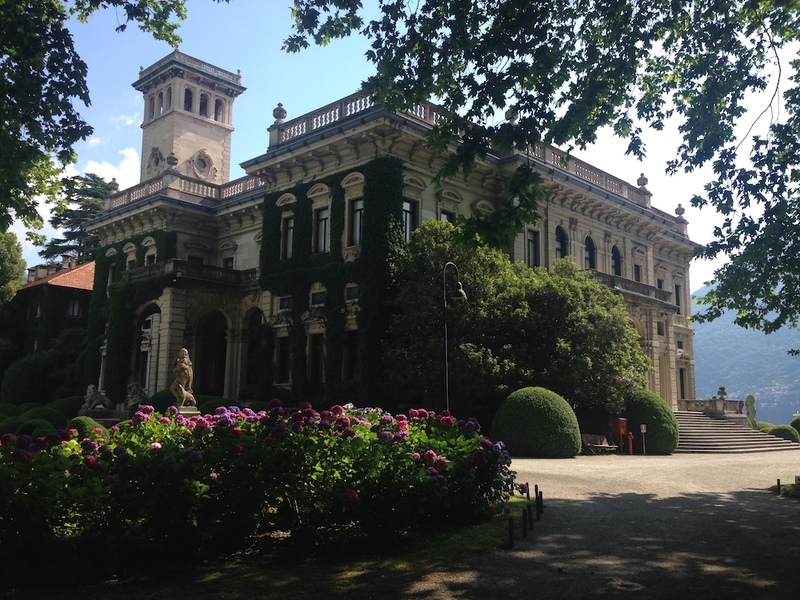 If you want to see some of this beautiful architecture on the lake you can start from a range of stunning locations: Villa Olmo in Como or Villa Erba in Cernobbio (above) or Villa Carlotta in Tremezzo (below). 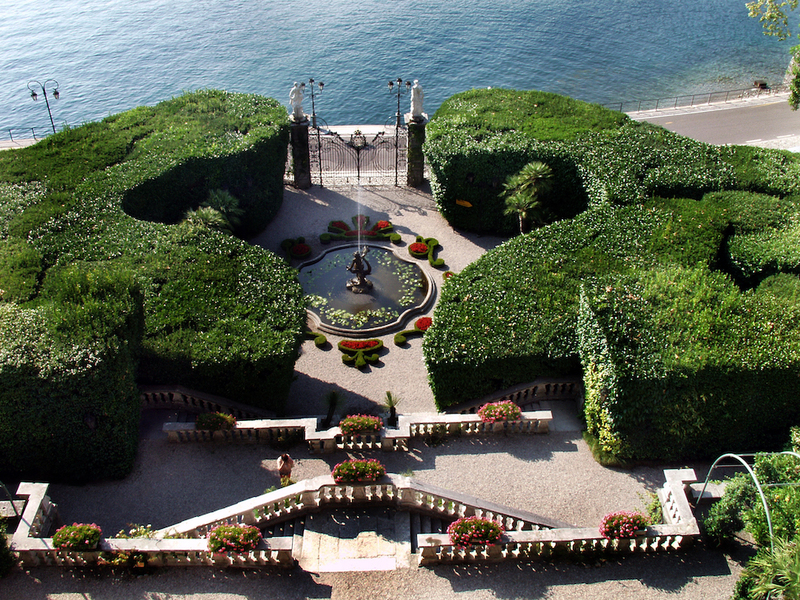 Villa Balbianello in Lenno – this the place where Star Wars and Casino Royal were filmed and probably one of my favourite spots from an architecture and design point of view, but also for the location. Daring it may seem, but it’s not unusual to witness seaplanes arriving on the calm waters. Land in style with Europe’s only seaplane flying school – Aero Club Como, where the planes are seen as forms of art. Classic, elegant Venetian taxi boats built by local master craftsman, Maurizio Mostes, are a relaxing way to enjoy the lake. They also offer bespoke tours where you can stop off for lunch or just a dip in the lake. Skim the shores of the private villas owned by the Versace family by sailing boat, waterboard or ski. South of Bellagio in the town of Lezzeno is JRC Wakeboard or sail from the old fishing town, Domaso with Canottieri Domaso. To spend time relaxing and sunbathing by the lake, you can take a short boat ride from Como City to Moltrasio. Just a few minutes from the boat station you will find Lido di Moltrasio, it’s a family managed lido facility with a restaurant serving Italian cuisine, from pizza to local delights. Here you can rent a sun lounge and enjoy the view or swim in the lake, there’s also diving boards for more of an adventurous dip. This has been one of my favourite places since I was a teenager having spent many weekends at the lido, you can enjoy the full day at the beach and cocktails from 6pm with the sunset. The Spa at Mandarin Oriental will be the largest spa on the lake suspended over a 19th century dock over Lake Como. Experience the signature therapies and locally inspired treatments plus use of the a state of the art fitness gym and it’ll leave you feeling brand new. Barba e Capelli is a best kept grooming secret where Mario, who has worked in the business for decades, employs the traditional art of shaving or clipping from the comfort of your armchair. The picturesque lanes of Como City are found behind the old town walls and are filled with charming shops and pavement cafes. A stone’s throw from sights such as the theatre, Duomo and the lake is the heart of shopping in Como. 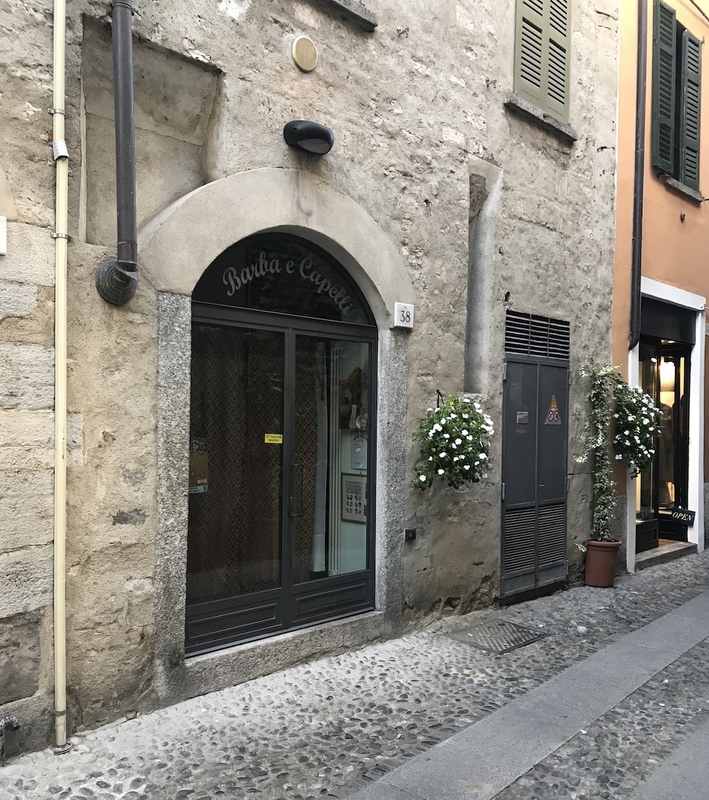 Set in medieval and modern buildings; take a stroll down Vittorio Emanuele where you’ll find independent designer shops, traditional craftsmanship, luxurious cashmeres, leathers and refined silks (few know that Lake Como is the capital of silk). 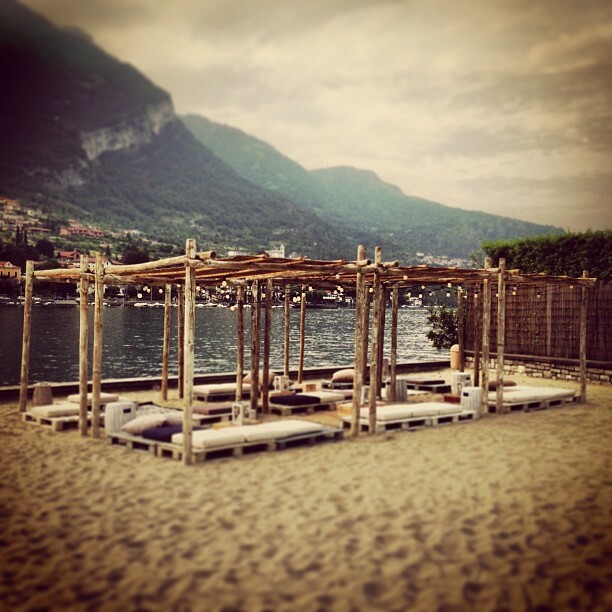 Lido de Leno is an elegant, isolated beach spot between the mountains and the Venere Gulf – just around the corner from where Casino Royale was filmed, it also transforms into a outdoor bar in the evening. Away from the classic tourist routes, pay a visit to the breath taking and totally unspoilt hamlet of Corenno Plinio. The 14th century Castle of Andreani overlooks the cobbled paths of this village located along the lake shore from Dervio to Colico. Arrive at sunset at the architectural masterpiece, Villa d’Este, for a spectacular view of the lake, it’s not cheap and not exactly a hidden hotspot, but if you can only splash out once, do it here. Luxury Interior Designer, Maurizio Pellizzoni, has created beautiful interiors for listed, period properties, new buildings, spacious country mansions and bijou townhouses in the UK and abroad. 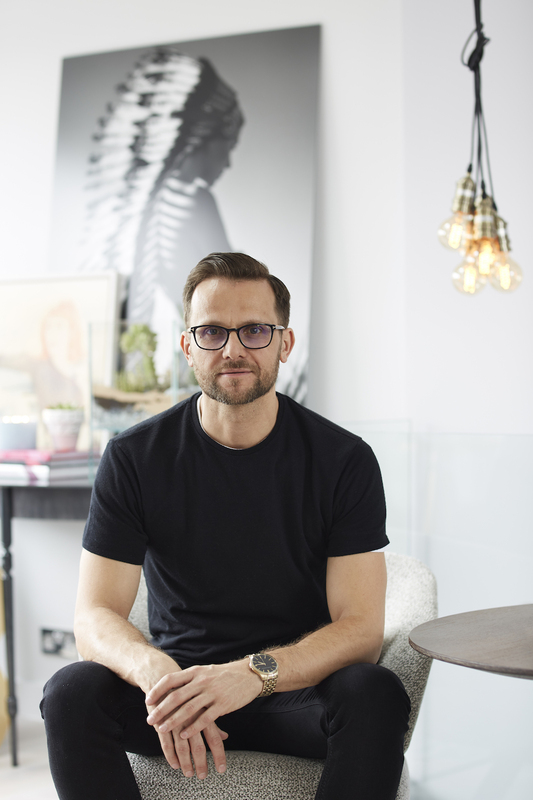 With an A List clientele, Maurizio’s aesthetic is inspired by the glamour of Lake Como, cosmopolitan New York, and daily life in London where he lives. 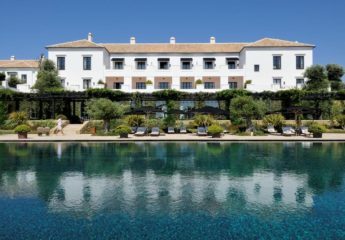 If you enjoyed this feature, read some of our other latest reviews including Heckfield Place and Finca Cortesin.